The holiday season is just around the corner. Surely, many consumers are already on their heels to plan for a wide variety of gifts that they could afford to buy to please their families, relatives and friends alike. 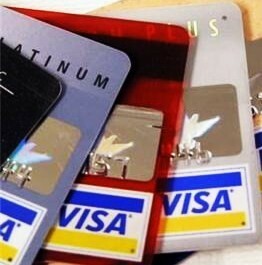 And the most convenient way to pay for all the things we purchase is either through the use of debit or credit card. Besides, it also safer to use the debit card because even if it is lost, access to the account is protected by a secret pin number. It's not the same as the credit card which can be used by anyone who gets hold of it. But not too many people think that using these plastic instruments to purchase stuffs or pay for gas at the pumps can expose them to excessive overdraft fees, especially if they fail to take heed of the expenses that they have. That's true. In fact, there are dangers that go with it. I went through this sad experience a couple of months back due to my own ignorance for not being too careful to monitor my purchases. As always, I have to carry my debit card, along with my credit card, in my wallet. For me, it was the most convenient way to use every time I make a purchase at any store for the stuffs I needed for my personal use. When my credit card runs out of credit line to pay for something I had purchased, I was left without any choice but to use my debit card. I'm not saying that I don't have some cash in my pockets. handy. For example, filling up for gas is one hell of an inconvenience when you're stuck in a long line for a couple of minutes, standing up to wait for your turn at the cashier's window. So every time I have to fill up my car with gas, I had to use my debit card. But there are instances when I would miss to check as to whether I still have the cash in my account or not. When you're in hurry, you tend to forget what you're supposed to do right. That when troubles begin. When I got my bank statement a couple of days later, I couldn't believe to myself to read what was contained in the statement sent to me by the bank. It contained a lot of overdraft charges amounting to a total of US$105.00. This is what will happen if you fail to monitor your bank statements. Instead, the bank supervisor adviced me to check as to how much cash I have in my account every time I use my debit card. How? By simply going over through the entries appearing on your bank statements. But the fastest and easiest way is to go to the ATM counter and make a balance inquiry. Get a printed copy of your last available balance. In this way, you will be able to know how much money you have in your account. In this way, you'll be aware as to how much you're going to buy next time. However, if you fell there's not much cash left, that's the time when you need to put some more to avoid overdraft fees. "If you use a credit card at a hotel, the hotel takes an imprint when you check in, but doesn't charge your card until you check out. It's a far different story with a debit card," says Kathy Kristof of Money Watch. According to her, hotels will generally put a "hold" on funds in your account for more than you're spending. Yes, more. They hold the full amount of your stay, plus an estimated amount for "incidentals," such as meals at the hotel restaurant and dipping into the mini-bar. "This is not an actual charge--the hold will come off your account at the end of your stay. But it affects the available balance in your checking account anyway and can lead to overdrafts," she explains. She adds that one consumer said these phantom charges cost him $140 in overdraft fees. "Overdraft charges have been soaring in recent years and the vast majority of consumers who pay them explain that their overdraft was the result of a debit card transaction," she said. In fact, the misconception here is that many consumers naively assumed that if they didn't have sufficient funds in their accounts, their bank wouldn't approve a debit swipe, she continued. In my case, I had to pay the overdraft fee of $39 for a gas purchase amounting to more than $10.00 just because I had insufficient funds in my account. Unlike the credit card, which automatically denies one's purchase when the credit line has been exhausted, the debit card doesn't. Government regulators are reining in these fees by demanding that banks give consumers a chance to "opt out" of automatic overdraft protection, Kristof said. Better still, don't fail to monitor your expenses by checking your bank statements or inserting your debit card to check on your last available balance.